Fluoride air pollution can have a devastating effect on the total environment. of fluoride gases and particulates. Angus Lazores is a Mohawk Indian. For centuries before the white-man reached Canada and the United States, the Mohawks hunted, fished, trapped, and farmed the islands of the Gulf of St. Lawrence, now known as the St. Regis Akwesasne Indian Reserve. Angus Lazores, along with 1,500 other Mohawks, lives on Cornwall Island, a part of the reserve straddling the borders of Quebec, Ontario, and Upper New York State. The St. Regis Mohawk Band settled Cornwall Island just over a hundred years ago; they soon became known as an efficient and self-sufficient agricultural community. In 1959, there were 45 farmers, forty cattle barns and 364 dairy cattle on the Island. Twenty years later, only eight farmers and eight cattle barns were left. and the white pine trees on the Island were dying. In 1959, Reynolds Metals Company had built an aluminium smelter on the south bank of the St. Lawrence River near Massena, New York State. Cornwall Island is downwind of the smelter at least 60 per cent of the time. Angus Lazores dates his problems on the Island to 1962, just three years after the smelter became operational. In that year, cattle became lame and developed swellings on their legs, eventually the lameness became so severe that the animals could no longer graze normally. They laid down to eat on pasture and then crawled to the next place to eat. With increasing age the cows had difficulty drinking cold water, and chewing was obviously painful. The animals would grab hay but let it go after unsuccessful attempts at mastication. The first pregnancy and calving were usually uneventful, but the cows had small udders and too little milk for the calf. 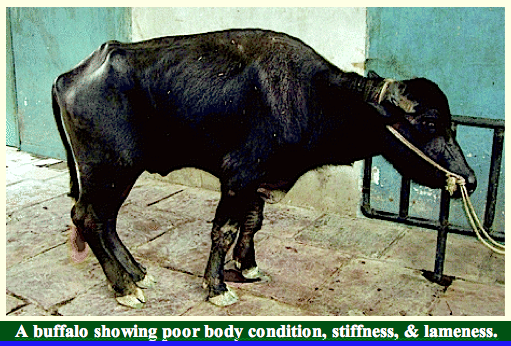 At the third pregnancy and delivery, the native cows had usually deteriorated, being unable to drink or chew properly. Cows died during delivery and neonatal calf mortality was high. If cows survived the third pregnancy they were sold for slaughter. By 1971, the majority of farmers had switched from dairy to beef cattle and by November 1977, there were only 177 cattle on the Island compared with 364 in 1959. The cause of the cattle disease was admitted only after many years. In 1969, officials of the Canadian Ministry of the Environment had expressed concern to Reynolds Metals about fluoride emissions impacting on the Island. Four years later, the St. Regis Local Council authorised an investigation into pollutants emitted by the smelter. In July 1973, the Council were advised that damage to the pine trees on the Island was due to fluoride gases. Two years later, urine samples from Cornwall Island cattle showed abnormal levels of fluoride. 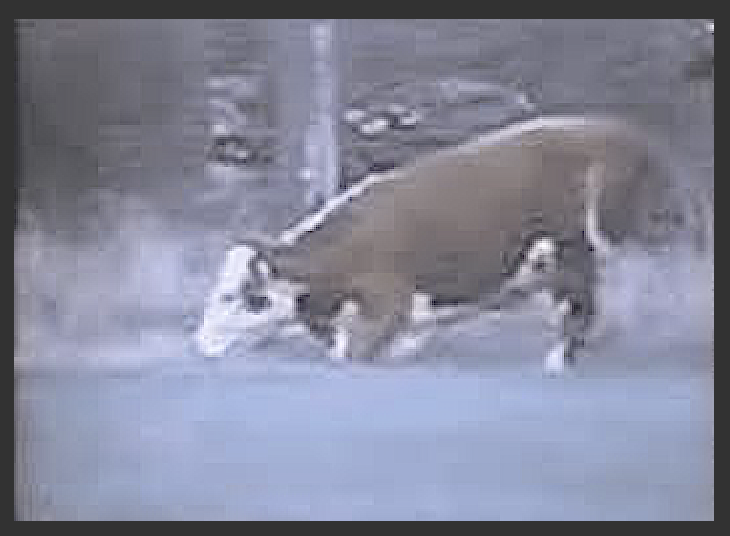 In November 1975, Angus Lazore’s cattle were examined by a veterinarian called Abbey, sent by Reynolds Metals. He claimed that internal and external parasites were responsible for the condition of the cattle – fluoride wasn’t even mentioned. The Mohawk elders were disturbed by Abbey’s diagnosis and approached Professor Lennart Krook, an eminent veterinary scientist at Cornell University. While Krook and Maylin focused on the cattle, Dr Clancy Gordon of the University of Montana, examined 2,600 plant samples from Cornwall Island and found very high levels of fluoride in all the vegetation tested. In addition, Cornwall Island physicians had noted high rates of anaemia, rashes, irritability, diabetes, high blood pressure and thyroid disease. The Mohawk way of life became a victim of a preventable man-made plague. And you don’t have to go to Canada to find fluoride pollution problems. For more than a century, the Hunter Valley Region of New South Wales has produced some of Australia’s finest wines. On Tuesday July 8 1980, the Tyrrell’s and the Tulloch’s, Reg Drayton and Dr Max Lake together with Chris Barnes, who, as President of the Hunter Valley Vineyard Association represented virtually all the other wine-makers, held a press conference at the Hilton Hotel, Sydney. Their message was simple – they could foresee the day when the Hunter Valley was finished as a wine-growing area. And the reason? For the past ten years the ALCAN aluminium smelter at Kurri-Kurri had rained 600 to 700 tonnes of fluoride pollutants onto the surrounding landscape annually. The wine-makers said they had known nothing about these fluoride emissions until 10 months previously, yet fluoride pollutants have, in the past, reduced grape yield and decimated vineyards in Spain, Greece, Bulgaria and the Rhone Valley. Ever since the beginning of the industrial revolution but particularly in the second half of this century, wholesale pollution of air and of the countryside with fluoride fumes and fall-out has taken place; and the most common and most dangerous fluoride air pollutant is HYDROGEN FLUORIDE. Hardly surprising since amongst other things, hydrogen fluoride (HF) eats up glass and dissolves most metals. Alright, you say, its dangerous, but I don’t live near a factory that releases HF into the atmosphere, nor do I work in an environment where HF is present. But consider this. Demand for lead-free petrol is growing quickly and the processes for making it involve the use of HF to achieve high octane ratings without using lead. In fact, between 1.26 and 3.14 kilos of HF are used in the production of every six barrels of alkylate. As a result HF is present in the exhaust gases from vehicles using lead-free petrol. The levels of HF, three inches from the exhaust outlet measure 30 parts per billion, and remember at that concentration, HF can impair reflex activity in rats by acting as a CNS depressant – in other words, a mind-dulling drug. HYDROGEN FLUORIDE, aka:, is used by an increasing number of industries, and it is also produced as a pollutant by an increasing number of industries. A series of accidents in the United States have recently demonstrated that industrial HF sites are a major threat to public safety. In March 1988, there was another HF leak, this time in Tulsa, Oklahoma. There, an accident at the Sun refinery produced a three-mile-long cloud which engulfed the town Only a prompt evacuation limited the casualties to 36 persons (none fatal). A recent test by the US Government showed that relatively small amounts of HF liquid will release a dense, ground-hugging gas cloud which remains lethal for five kilometres. In Britain, the location of HF manufacturing plants are, according to the Health and Safety Executive, officially secret – to prevent them becoming targets for terrorists. Many people, particularly those working in the pot-rooms of aluminium smelters, are exposed to relatively high concentrations of hydrogen fluoride. What can it do to them? Well, lets see. In the spring of 1986, one of the most modern aluminium smelters in the world went into production in Portland, Victoria. The smelter had been built by the Aluminum Company of America (ALCOA), who also owned a much older smelter at Point Henry, Geelong. In other words, after just 25 months in operation, 65 workers at one of the most modern aluminium smelters in the world had been affected by mysterious agents in the pot room. “A senior Victorian union official claims workers at Geelong’s ALCOA smelter are suffering respiratory ailments potentially as deadly as those found in the asbestos industry. Mr. Royre Bird, slate secretary of the Federated Iron-workers Association, has called for a national inquiry into respiratory disease in aluminium smelter workers after a report by New South Wales researchers found evidence of long-term irreversible lung damage. The report, by a team from Newcastle University medical school, found workers at Alcan Aluminium’s Kurri-Kurri smelter suffered reduced lung function equivalent to smoking a packet of cigarettes a day. Mr. Bird, who has worked in the industry for 18 years, claimed the findings had serious implications for the aluminium industry world-wide and for workers at Geelong. He said he believed that apart from respiratory diseases, aluminium workers were at risk of contracting cancer. He claimed to have observed a “slow but gradually developing history of cancers” at the Point Henry Plant in Geelong. “CANCER RISK AT SMELTERS: DOCTOR”. “Workers at aluminium smelters are at risk of developing cancer as well as chronic asthma, according to a leading cancer specialist. At least 39 smelter workers across Australia are believed to have already died from work-related cancer. Now, there is no mystery at all. The major pollutants in the pot room are gaseous and particulate fluorides; and HYDROGEN FLUORIDE is the most common fluoride gas. But, industrialists live in fear of conclusive evidence linking a pollutant to ‘new’ occupational or Neighbourhood diseases. The reason is obvious. Employers and their insurers will face claims for compensation. Industries with major fluoride pollution problems are amongst the most powerful interest groups in society. Fluoride emissions are amongst the most difficult of all pollutants to control effectively, and in a highly competitive economic system, many companies will fight for their very lives to avoid spending large amounts of money to control pollution since this will, almost inevitably, increase the price of the end-product. Certain sections of industry will go to great lengths to suppress stories about fluoride pollution. Such reports might encourage people to sue for damages or, result in pressures for tougher anti-pollution laws. The first symptoms of exposure to trace amounts of hydrogen fluoride are NOT physiological but psychological, and include such symptoms as confusion, fatigue, partial loss of memory and mental dullness. To put it another way, behaviour is exquisitely sensitive to minute traces of hydrogen fluoride (and other pollutants) in the environment. Unfortunately, the tests to which chemical substances are usually subjected in efforts to determine their so-called “maximum permissible doses or concentration” do not take into account possible changes in mental function, and also would often fail to pick up long-term or chronic effects on the organism. Minute concentrations of hydrogen fluoride inhaled over lengthy periods of time CAN DAMAGE VITAL COMPONENTS OF THE IMMUNE SYSTEM – this leaves the individual vulnerable to opportunistic diseases. Last century, canaries were taken down coal mines because of the presence of trace amounts of deadly gases in the mines. The gases were undetectable by smell but if the canary died, the miners got out – quickly! Some scientists suspect that FROGS have become analogous to the coal-mine canaries. All over the world frogs are disappearing and no-one knows why. The best guess so far is that pollution of the environment is responsible. I’d like to tell you about an experiment I recently completed. In the adult human the immune system weighs about two pounds and consists of around a trillion lymphocytes and about 100 million trillion molecules called antibodies that are produced and secreted by the lymphocytes. In a mouse, the immune system consists of about 300 million lymphocytes and around a trillion antibodies. The smallest known immune system, that of a tadpole, is estimated to have a million lymphocytes and an antibody repertoire of about 10 million. Smaller immune systems do not exist presumably because such systems would recognize antigen so infrequently that they would provide little, if any, protective advantage. I exposed tadpoles to a number of increasingly common environmental pollutants, including mercury, cadmium and hydrofluoric acid – which is hydrogen fluoride in water, and both gas and acid have the same formula, HF. Incredibly low concentrations of these chemicals proved lethal to the tadpoles. But technically speaking, the tadpoles didn’t die of “mercury poisoning” or “cadmium poisoning,” or “hydrofluoric acid” poisoning. They died because the chemicals ‘wrecked’ their immune systems leaving the tadpoles vulnerable to all the germs and parasites in their environment. The significance of this is that scientists still evaluate the toxicity of a chemical by determining what amount of the chemical causes obvious damage or death. For instance, lets look at a common chemical – sodium fluoride. It would take at least 3 grams of sodium fluoride to kill a healthy adult. That’s the amount in 3,000 litres of fluoridated water. If you ingested about 8 milligrams of sodium fluoride daily for ten years or more, you would develop a well-defined disease called skeletal fluorosis, which affects bones, tendons and secondarily, the nervous system. If an infant ingested 2 milligrams of fluoride daily, they would develop dental fluorosis or ‘mottled’ teeth. Apparently therefore, the only problems that low doses of sodium fluoride can cause are either dental fluorosis or skeletal fluorosis. The CLINICAL symptoms of these conditions are easily detected – ‘mottled’ teeth and ‘bony outgrowths’ and the calcification of tendons in skeletal fluorosis. THOSE THAT WE CAN’T SEE? Experiments have shown water containing 1 to 4 parts per million can have an effect on the Central Nervous System – a mind-dulling effect! Experiments have also demonstrated that fluoride at a concentration of just 0.6 parts per million can disturb antibody production, and thus interfere with the functioning of the immune system. And many experiments have shown that concentrations of fluoride of about 4 parts per million can damage DNA – the vital core of every living cell. Born: 1 November 1932, Married, 5 children, 4 grandchildren. Educated: Lawrence House School, St. Annes on Sea, Lancashire. Rossall School, Fleetwood, Lancashire. University of Manchester, Turner Dental School. 1956: Qualified L.D.S., R.C.S. Royal College of Surgeons. (England). 1957-59 Post-Graduate Studies. Queens University, Belfast. 1959-60 Travelling Fellowship, UK Medical Research Council; WHO Regional Office, Brazzaville. Based University of Ibaden W. Nigeria. Field work: Nigeria, Ghana, Sierra Leone, Gambia and Liberia. 1961-68 General Dental Practice, London and Dublin. 1965-66 Consultant, Aspro-Nicholas, Ireland, Ltd., Dublin. 1969-71 Consultant, Glaxo Group Ltd., London. 1972-74 Consultant, PIA Ltd., Lopex Group, London, New York. 1974-76 Consultant, Nicholas International, Slough & Melbourne. 1976-79 General Dental Practice and School Dentistry, Melbourne. 1979-80 Hospital Dentist, Proserpine, North Queensland. 1987-88 Anthropology and Archaeology, University of Melbourne. 1980 – Consultant, Environmental and Public Health. The Scientist, 1987, 1, 24. NZ Med.J. 1985, 90, 556-557. NZ Med.J. 1985, 98, 454-455. NZ Med.J. 1988, 100, 669-670. New Scientist, 1985, 1467-, 50-51. NZ Med.J. 1988, 101, 802. NZ Med.l. 1985, 30, 232-233. Brisbane City Council’s Task Force on Fluoridation, in March 1997. Abstract : The purpose was to discover whether fluoride (F) accumulates in the aged human pineal gland. The aims were to determine (a) F-concentrations of the pineal gland (wet), corresponding muscle (wet) and bone (ash); (b) calcium-concentration of the pineal. Pineal, muscle and bone were dissected from 11 aged cadavers and assayed for F using the HMDS-facilitated diffusion, F-ion-specific electrode method. Pineal calcium was determined using atomic absorption spectroscopy. Pineal and muscle contained 297+/-257 and 0.5+/-0.4 mg F/kg wet weight, respectively; bone contained 2,037+/-1,095 mg F/kg ash weight. The pineal contained 16,000+/-11,070 mg Ca/kg wet weight. but no correlation between pineal F and bone F.
and its F/Ca ratio is higher than bone.